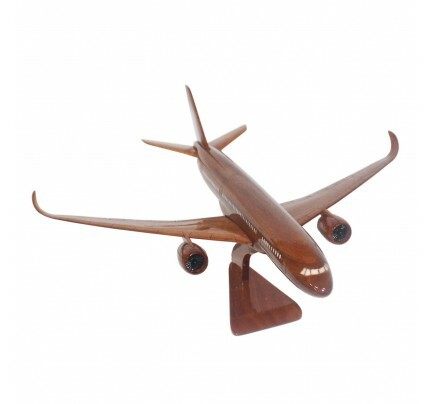 High quality Airbus A380 Wooden Airplane - Mahogany Wooden Model, Solid Mahogany. 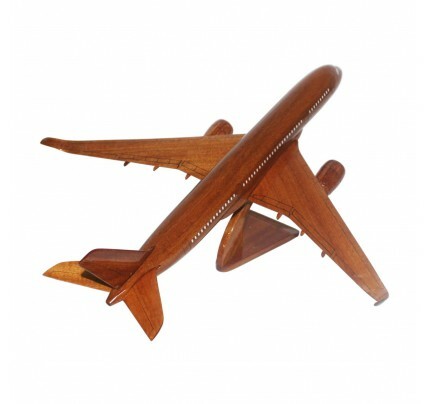 Aircraft Models with a Beautiful Natural Wood Finish. 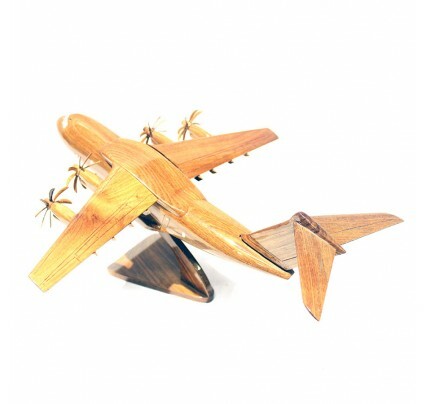 This is the high quality wooden Airbus A380 scale model, 100% hand-made by expertised craftsman. It takes from 20 - 24 hours to made a completed product. 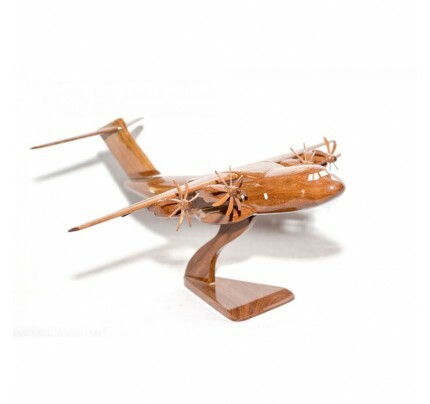 Handcrafted from solid mahogany, consists of: rudimentary wood processing, carve, craft and cover of polyurethane (2 coats), which keeps these unique sculptures attractive for years. Movable wheels, finely detailed molding and seam details, make this model a great gift or conversation piece. It’s displayed in office, house, room, desk,… or used as a valuable item for your collection. This is a very well designed detailed wooden sculpture and it is a perfect gift for birthdays, wedding anniversary, Or any other special occasion. It's truely a surprised gift for your friends/lovers or nice collection at your home. The Airbus A380 is a double-deck, wide-body, four-engine jet airliner manufactured by European Union manufacturer Airbus. It is the world's largest passenger airliner, and the airports at which it operates have upgraded facilities to accommodate it. It was initially named Airbus A3XX and designed to challenge Boeing's monopoly in the large-aircraft market. The A380 made its first flight on 27 April 2005 and entered commercial service in 25 October 2007 with Singapore Airlines.